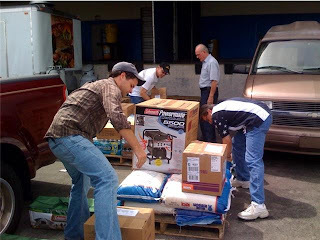 Pastor Mark Hattabaugh leads and serves in the effort of the Pentecostals of Cooper City to assist in the relief effort. As you aware, Hurricane Ike caused devastation throughout the Caribbean Islands. Millions were left homeless and without food and safe water. However, God had people ready and able to assist. 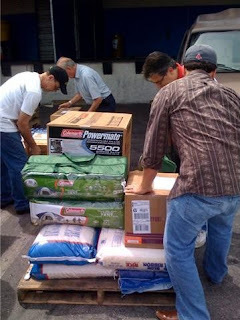 The Pentecostals of Cooper City and Costco donated, organized and shipped supplies to those in need. To each of the saints as well as the employees of Costco foods, we send a heartfelt thanks. 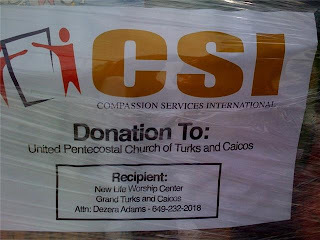 You can join these who are so willing to share what they have by noting on your check, “Compassion Services – Hurricane Ike” and sending it to Compassion Services International, 8855 Dunn Road, Hazelwood, MO 63042.